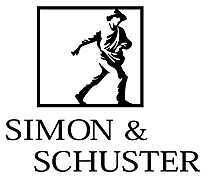 Simon & Schuster was founded in 1924 by Richard L. Simon and M. Lincoln Schuster. As a major force in today's consumer publishing industry, they are dedicated to bringing and extensive cross section of first class information and entertainment in all printed, digital, and audio formats, to a worldwide audience of readers, publishing approimately 2000 titles annually. Bestsellers from Simon & Schuster's Children's Publishing Division in 2008 included The Mortal Instruments trilogy by Cassandra Clare, Night World by L.J. Smith, The Secret to Teen Power by Paul Harrington, Cat by Matthew Van Fleet, The Christmas Sweater by Glenn Beck, Leviathan by Scott Westerfeld, Hush, Hush by Becca Fitzpatrick and Barack Obama Son of Promise, Child of Hope by Nikki Grimes. In all, Simon & Schuster titles have received 54 Pulitzer Prizes, 12 National Book Awards, 14 Caldecott and 19 Newbury Medals. On behalf this publisher and the efforts of both Lucille Rettino and Ellen Chan, we have three copies of five different titles up for grabs in the Kick-Off Contest....one of which is a boxed set with a poster of the author's soon to be released title! To learn more about this publisher and their varied catalogue, visit their website, or follow along on Twitter (1 or 2)! I'm a recent college graduate eating ramen noodles to keep myself in books. What books? 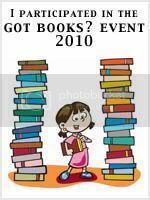 Any books, tall, short, thin, fat - although I tend toward young adult, science fiction, fantasy, and historical fiction. My blog, Elephants On Trapezes, lets me talk about said books (and also about writing) with quite possibly the coolest people in the world. Goals? To (finally) finish my second novel. And to read until words spill out my ears. I read mainly young adult fiction. My goal is to get people I know to pick up a book, es pecially if they aren't avid readers. I want everyone to know the possibilities available in a good book. My goal is to keep up with the new authors and novels out there and maybe branch out into other genres. I'd also like to make friends with people I can discuss books with that like the same type of books that I do. I love the blog hops on Friday! I'm tethered to many things, but especially books. I don't go anywhere without a book in my hand. As a book reviewer, I want you to see whether a book is worth your time and if it is a light read or something a bit more emotionally involved.